Pinterest is a rapidly expanding social media platform that stands out from other giants like Twitter or Facebook for its distinctly visual nature. Now host to over 70 million primarily female users, Pinterest functions like a virtual bulletin board on which users can compile, organize, and share related “pins” (ie. images with short descriptions and an embedded link to a site anywhere on the web). Upon first glance, this hub of pretty boxes may seem more like a handy tool for crafters, collectors, or enthusiasts than a marketing avenue, yet in 2014, Pinterest pulled in over 3 times the traffic of YouTube, Google Plus, StumbleUpon, LinkedIn, and Reddit combined. If you would like to use this powerful network for your brand’s growth, here are the basics for beginners and the steps to mastery. Sign up for a business account. 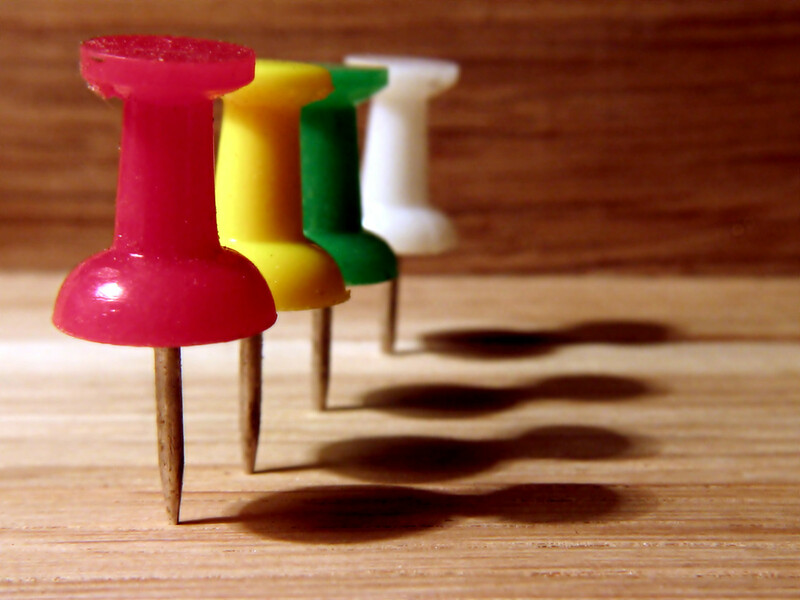 It gives you many valuable options and tools for promotion and tracking the performance of your pins. Link your account to your business or personal Facebook timeline, so that all of your recent Pinterest pins (posts) will show up on your Facebook timeline in one consolidated box, allowing viewers to easily connect with you on Pinterest. Add the “Pin it” button to your browser (to make it easy for you to pin your own items) and include a “Pin it” feature on each item you pin, so other users can re-pin them with ease. Once you have a profile set up, you’ll want to begin populating your profile with pins and with boards, which you’ll use to organize your pins. As a rule of thumb, remember to always pin in an organized fashion, so that pins meant for one board (“recipe ideas” for example) don’t end up in a “vacation ideas” board. Pinterest is a space for curation more than promotion. First and foremost, users are logged in to collect and organize resources, ideas, instructions, and inspiration for things that matter to them. Perhaps the most difficult thing to grasp about marketing on Pinterest is that you should pin items that do not directly link to your products, services, or website. Users will connect to your brand as a result of coming across something useful, inspiring, or engaging that you have posted. What would your customers or prospective customers find useful, interesting, delightful, or inspiring? What lifestyle or ethos does your brand represent? Instead of populating your boards with “everything under the sun we’ve created, posted, or done,” create collections of pins that provide valuable content around the above questions. For instance, if you are a fashion company with your own line of clothing, think about your ideal customer and create boards that represent things they get excited about. If you market to a hip and scrappy younger crowd, this may be a board about new fashion trends (which thematically relate to your products), one about cheap, alternative road trip ideas, and one about DIY accessory ideas. Of course, you should post your own material as well. Just be sure that it’s balanced with plenty of pins that are not yours. Users will find value in your curation and follow you because of the resources you help them find, thus establishing a richer relationship with you than if they were just coming across your advertisements. Pinterest is a space for passion, creativity, and ideas. So, the best fuel for creating an authentically engaging Pinterest profile is to authentically represent yourself and your brands as much as possible. If you are the main person posting for your business, post a profile picture of your face, since people enjoy interacting with real people more than faceless entities. If you are one of several posting, a logo is a good image choice. When creating boards, tap into your or your team’s passions. What do you “geek out” about? Healthy lunches to bring to work; unique winter wear; work-out tips? If these things make sense in relation to your brand, pin it! When you’re pinning with authentic enthusiasm, not only will you have more fun, but your profile will reflect genuine excitement and a thread of authenticity that will attract users, likes, and re-posts. Get these foundational pieces in place, and you’ll be a pinning pro in no time.